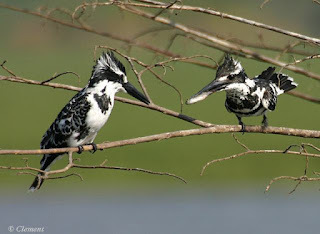 The Pied Kingfisher is a water Kingfisher, which is widely distributed in India mainly on the plains. 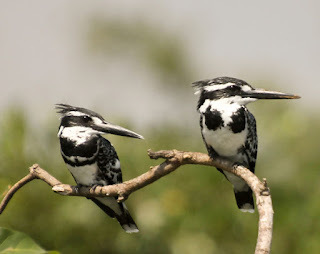 I have seen a number of Pied Kingfishers recently at the Samudram Erie (at the foot of Arunachala). 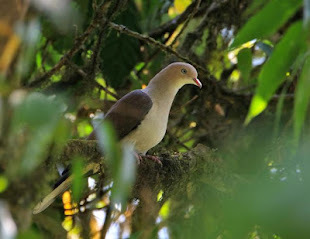 And in my opinion this is one of the most unique and fascinating birds of the area. 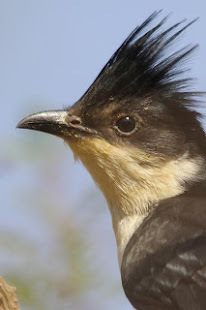 Males have a double band across the breast while females have a single gorget that is often broken in the middle. 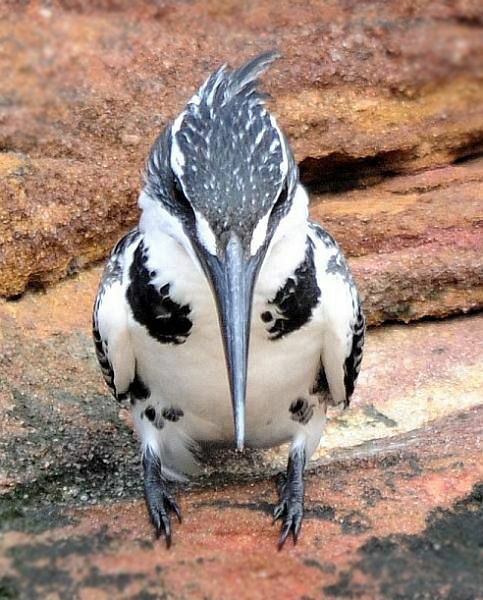 This Kingfisher is about 17 cm long and in size between a Mynah and a Pigeon. It also has the typical, stout, dagger-shaped bill associated with other species of Kingfisher. 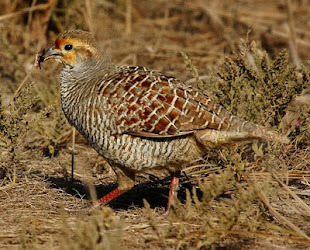 This bird is usually found in pairs or small family parties. 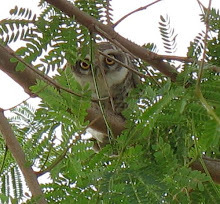 When perched, it often bobs its head and flicks up its tail. This bird frequents rivers, jheels, irrigation tanks and tidal creeks and can usually be seen perched on a favourite rock or stake near the water. 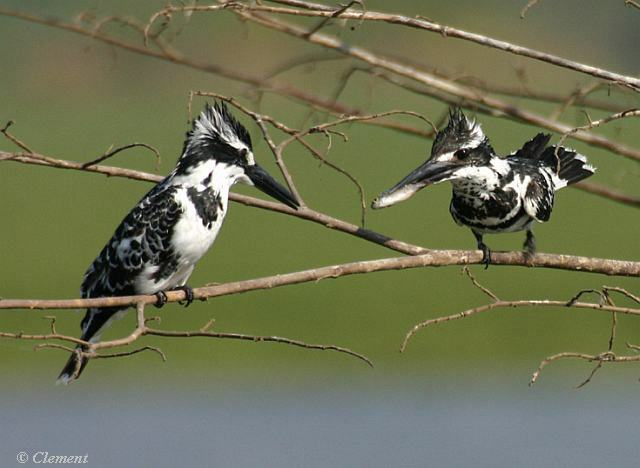 The Pied Kingfisher feeds mainly on fish, although it will take frogs, crustaceans and large aquatic insects such as dragonfly. It usually hunts by hovering over the water to detect prey and diving vertically down bill-first to capture fish. 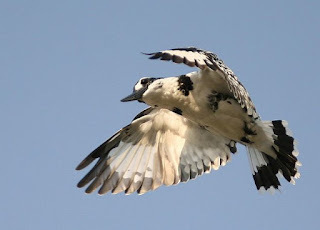 When not foraging, they have a straight rapid flight and have been observed flying at nearly 32 mph. 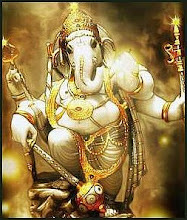 They call often on the wing, with sharp chirruk chirruk notes. 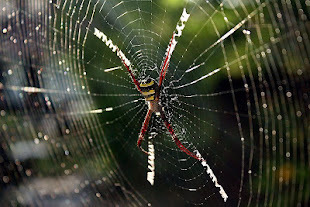 Its chief characteristic is its unique way of fishing. It hovers stationary for considerable periods, 10m or so above the water, ‘standing on its tail’, and hurls itself, wings pulled in at the sides, at fish coming up within striking depth. On emergence with the quarry, the bird flies off to a convenient rock where the victim is battered before being swallowed. 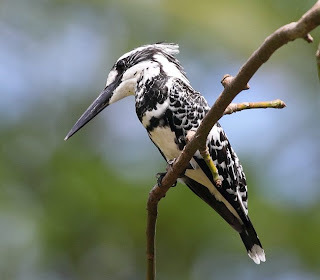 However the Pied Kingfisher can deal with prey without returning to a perch, often swallowing small victims in flight, and thus can hunt over large water bodies or in estuaries that lack perches that are required by other Kngfishers. 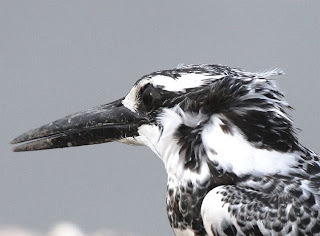 For a superb link with videos and photographs of the Pied Kingfisher go to this link here. 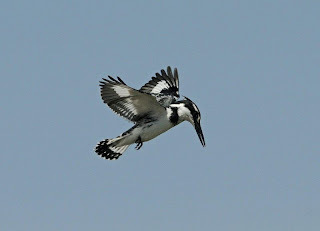 The Pied Kingfisher is extremely agile in the air and hovers far more often than other kingfishers. In flight, it holds the body almost vertical, with the head and bill angled sharply downwards, and beats the wings extremely rapidly. 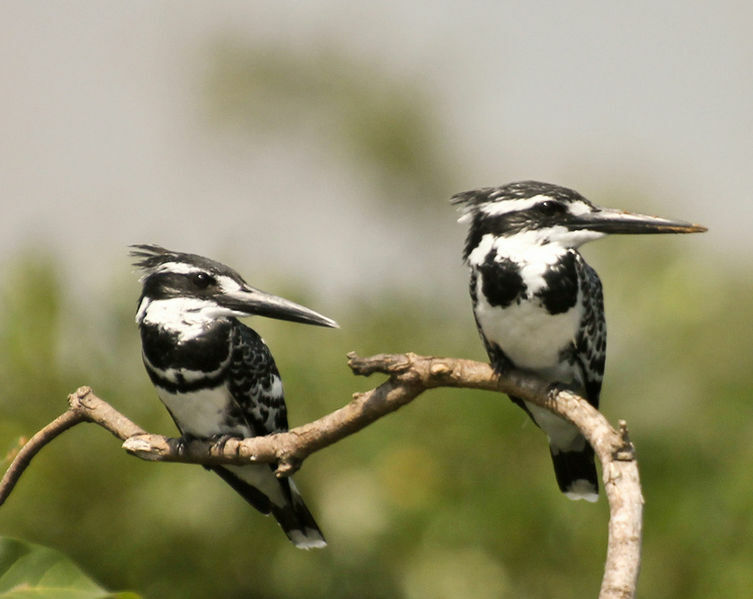 Kingfishers beat the reaction time of a fish by 1/50th of a second. Hunting fish from the air, it seems, is harder than it looks for the birds. 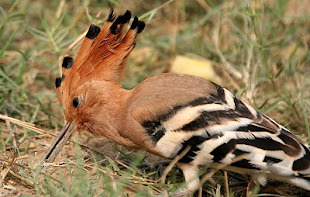 Amazing rare nature photography in this video from BBC Worldwide.